Welcome to St. John the Baptist Catholic School Prospective Families page! Why choose St. John the Baptist Catholic School? St. John the Baptist Catholic School has educated more than 2,000 Napa Valley children in over 100 years! St. John the Baptist Catholic School endures because we are about more than just outstanding academics. We are a community of parents, inspiring teachers, parishioners and students who collaborate together to prepare our students for a lifetime love of learning and a lifetime journey of faith. We strive to make the academic journey an adventure that is challenging, but fun, in a loving and nurturing environment. Our goal is to have our students graduate prepared for the future, with the same enthusiasm and excitement as their first day of Transitional Kindergarten. This is our legacy! What are the advantages of a smaller school? In a smaller class, all of our students are noticed and no one gets left behind. Teachers and peers have time to get to know each other because there are simply more opportunities to talk informally about life, school, hobbies or concerns. Classes become a community, and the result is that students feel a sense of belonging and develop strong relationships with teachers and their classmates. They feel safer in school knowing they have teachers and friends they can trust and rely on. This is crucial for positive, social-emotional development. At St. John’s, your child will never fall through the cracks. Not only do students learn more in small classes, they also learn faster. From a cognitive standpoint, a low student-to-teacher ratio translates to more focused instruction, high student engagement and the ability to master curriculum at a faster pace. Teachers can cater to different learning styles to maximize engagement and achievement. Fewer students also means that each one gets attention from the teacher, and they are encouraged to participate. Smaller classes mean more chances to speak up, apply knowledge and express opinions, which builds confidence in our students. With a diverse student body comes a diversity of opinions, and our teachers instill respect for different cultures - a necessary skill in our globalized world. Research shows students in smaller classes have higher grades and perform better on exams. Student achievement is generally higher for all socioeconomic groups in smaller schools. Security and discipline are easier to maintain at St. John’s and as a result, teachers can spend less time getting the attention of those who get distracted. Teachers in a small class have more opportunities to observe and assess the class as a whole and the students as individuals. Teachers have more time for individualized feedback, ensuring each student understands material and gets the help they need to reach their potential. What unique programs do you offer? Faith formation is central to our school’s mission. Woven through our Common-Core, standards-based academic program is solid faith formation in addition to numerous programs designed to educate the "whole" child. How are your test scores? 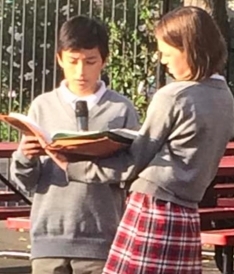 All schools within the Diocese of Santa Rosa participate in the STAR Benchmark Assessments that help us track student growth and achievement in key academic areas and allow for individualized instruction. Our scores range from average (meeting benchmark) to above average (exceeding benchmark. 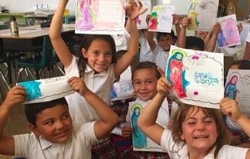 As a partner to our local Catholic high school, Justin-Siena, we regularly articulate with the Justin-Siena faculty and administration to ensure a seamless educational experience from Transitional Kindergarten through 12th grade. For our families choosing public education, St. John’s students are exceptionally prepared through our standards-based curriculum to meet or exceed grade level expectations. To apply to St. John's, simply complete the attached application for admission. Bring it, scan it or fax it to St. John's to the attention of our principal, Deacon Joe Oberting, joberting@sjtbcschool.org. A Placement Exam will be scheduled for your child. Following the exam, you will receive an admission decision within forty-eight (48) hours. At that time, additional information will be provided to complete the registration process. 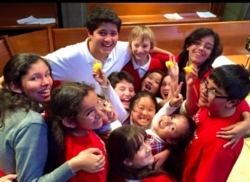 St. John the Baptist Catholic School admits students of any race, color, national or ethnic origin to all the rights, privileges, programs, and activities generally accorded or made available to students at the school. St. John does not discriminate on the basis of race, color, national and ethnic origin in administration of its educational policies, admission policies, scholarship and loan programs, and athletic and other school administered programs.